Recently I worked in a project for Jessops, the UK camera retailer. We had to assess the multichannel retailer’s business and present in a ‘consulting style’ our findings and recommendations for improvement/opportunity. My team was very diverse: Betty, a Mexican girl good at planning and really good when it comes to give everyone a voice. Satomi from Japan, incredible researcher, good at analyzing from a commercial point of view. Olli, a worthy representative of Finland, always evaluating Idea feasibility. Eduardo, smart Brazilian setting the structure with a great background from P&G, And me, Martha, the Colombian creative, bringing insights and looking at challenges from a completely different perspective. Finally after 8 meetings we had the big idea, a solid structure and consistent data to add the Sustainability Component for the project. We were ready, we had the presentation with Professor Jindal, we had good feedback, grades and we were done. Although, at a Master’s level, the goal of a Project has to go further than this. 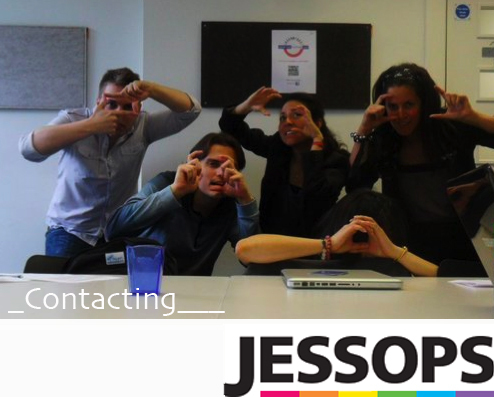 Therefore the goal now is to contact someone at Jessops in order to get a meeting to present our Consultancy Report. No phone, not visits, (it would be easier) only online channels; let’s see how far this post can go. I will keep you updated on my progress. So far, nothing. Sorry for disappoint you. I have sent 2 emails to customer services, several messages on Twitter @Jessops . The good news: someone that I don’t know got the link and send it to someone that actually works there, let’s see the power of LinkedIn. OK, let’s see if you contact Jamie Olliver first. Great challenge – I’ll forward your post on and see if that helps. Best of luck and look forward to hearing how it goes! como vas martica? can’t wait for the feedback @jessops! Hello, I don’t know you but I’ve forwarded this on to a contact of mine at Jessops HO through Linked In – because my friend @nagandrea, who has commented further up the stream sent me a message on that social network asking me to. So we’re playing by the rules! Fingers crossed for you that it works. Thanks so much for your help. Such a good news! Interesting challenge Martha. I think Jessops should find an hour to listen to your ideas!